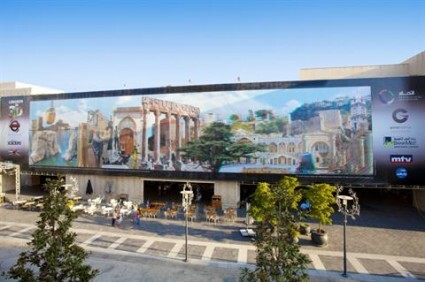 The 618.11 m2 billboard (54.7*11.3) set up at Beirut Souks could become soon the world’s largest billboard. It is part of an exhibition by Jean-Claude Bejjani that also includes 30 3D pictures from all around Lebanon. I wish you would mention that the idea is that of Lebanese-American Sam Ramadan who he did the full 3D production and cooperated with JC who provided 2D photographs. It seems JC forgot to mention this little fact to the press, but you will find my name on the poster to the side. I don’t know till when the Lebanese ( I am Lebanese) will act nose up that much, and thinking they are different and more clever than other while they are not at all. 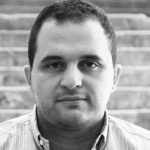 I don’t know Jean-Claud personally, but by ignoring the 3D creator Samer Ramadan who made his panoramic done, that will give me great idea of what type of people he is. When we will learn to respect other people copyrights and inventions, why we steal others work and stick it to our names. Enough sealing music from everywhere and put it is our names, and copying International TV’s and show the silly results. I heard that JC tried to sell his fake invention to Dubai, But he act greedy asking for huge amount of money, so they ignored him. Good Luck Next time if you can make the 3D again.